SZ-HK Cooperation on Modern Service Industry in Qianhai Area to be held in Meeting Room S421, old wing of Hong Kong Convention & Exhibition Center from 16:30 to 18:00 on December 20, <?xml:namespace prefix = st1 ns = "urn:schemas-microsoft-com:office:smarttags" />2010 in Hong Kong, China. Among the guests invited to the briefing are Mr. Liu Kun, Vice Governor of Guangdong Province, officials from the National Development and Reform Commission (NDRC), Hong Kong and Macau Affairs Office of the State Council, Hong Kong S.A.R. Government, Liaison Office of the Central People's Government in the Hong Kong S.A.R., and the Commissioner's Office of China's Ministry of Foreign Affairs in the Hong Kong S.A.R. and representatives from the business and industrial circles in Hong Kong. On the briefing, officials from NDRC will introduce the national policies regarding the development of Qianhai area; Vice Governor Mr. Liu Kun will focus the significance of SZ-HK cooperation in the broader context of Guangdong-Hong Kong cooperation; Mr. Henry Tang Ying-yen, Chief Secretary for Administration of Hong Kong S.A.R. Government will speak on how Hong Kong S.A.R. 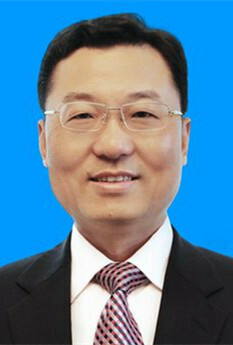 Government should participate in the SZ-HK cooperation and how both sides could benefit from the cooperation; Mr. Wang Rong, member of the Standing Committee of CPC Guangdong Provincial Committee and Secretary of CPC Shenzhen Municipal Committee, will elaborate on the major spotlights of the development plan of Qianhai and the specific measures that Shenzhen has adopted. Following the presentations, a series of cooperative agreements will be signed. If you're interested in covering this event, please send back the attached Application Form via Fax: +0086-755-82001279 or Email: zhangliguo2007@yahoo.cn before December 16th, 2010. Detailed registration notice will be delivered soon. You may also contact Mr. Zhang Liguo at +0086-755-82107681 or +0086-13425138780 if you have any further question.